We added farmhouse charm to our home with these simple numbered stairs. 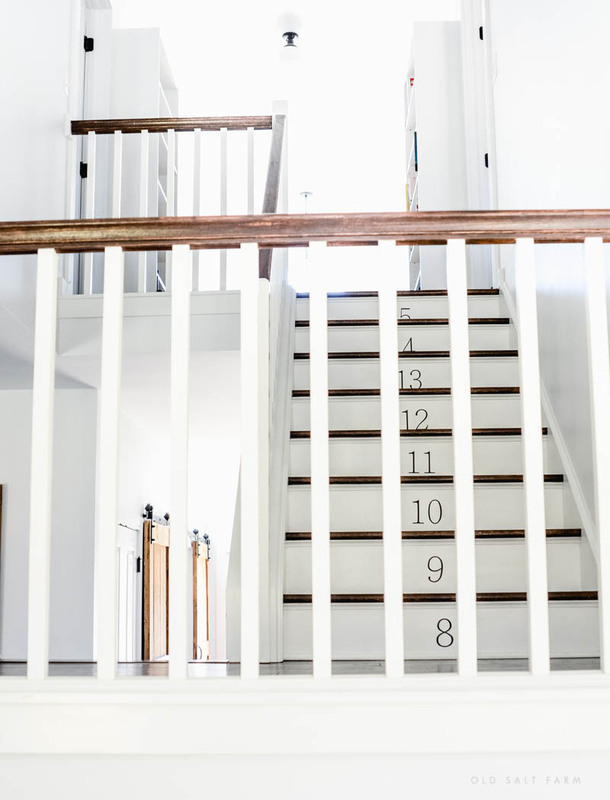 I’ve wanted to have numbered stairs for as long as I can remember. 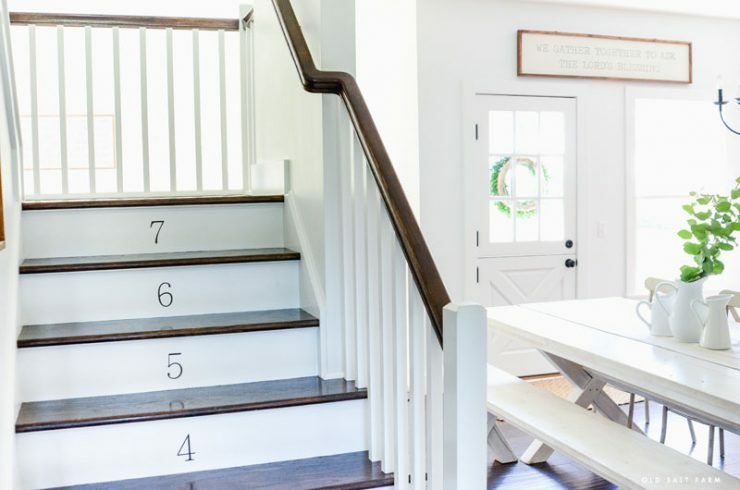 When we were building our home, having painted riser steps with numbered stairs was at the top of my list. 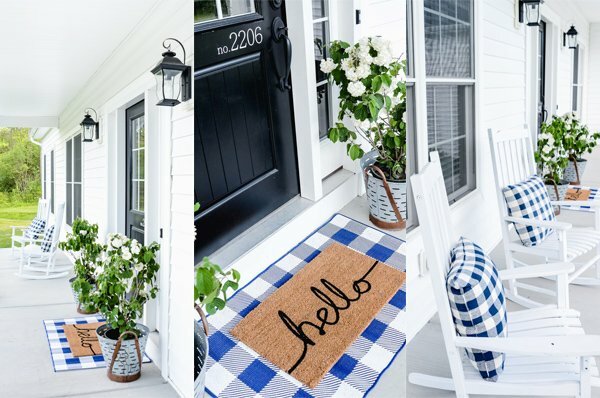 I just love the way they look, and I can’t believe how much they bring to the space, even though it’s such a simple addition. 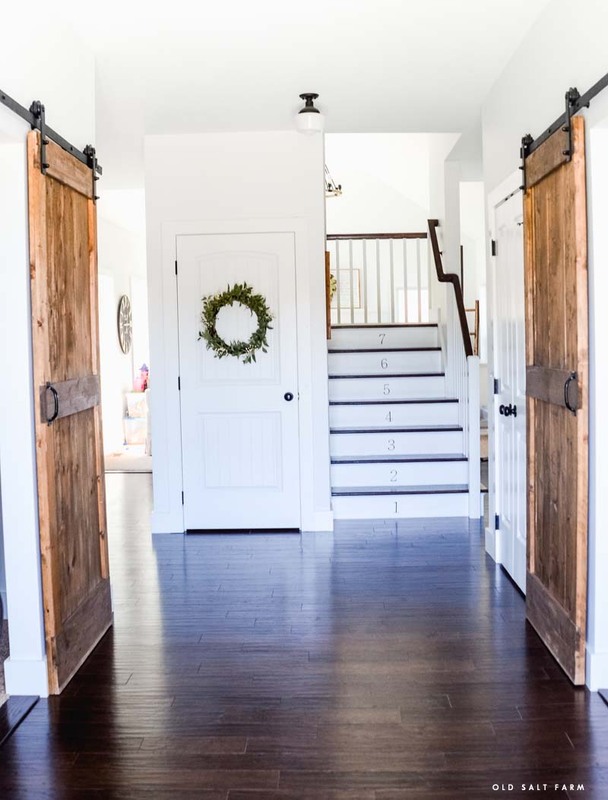 Before we moved in, and as the house was getting closer to being finished, I started thinking about how I was going to put them on. At first the plan was to create a stencil and paint them on, but then decided on doing a “test run” first. I wanted to see what they looked like on the stairs before painting them on. 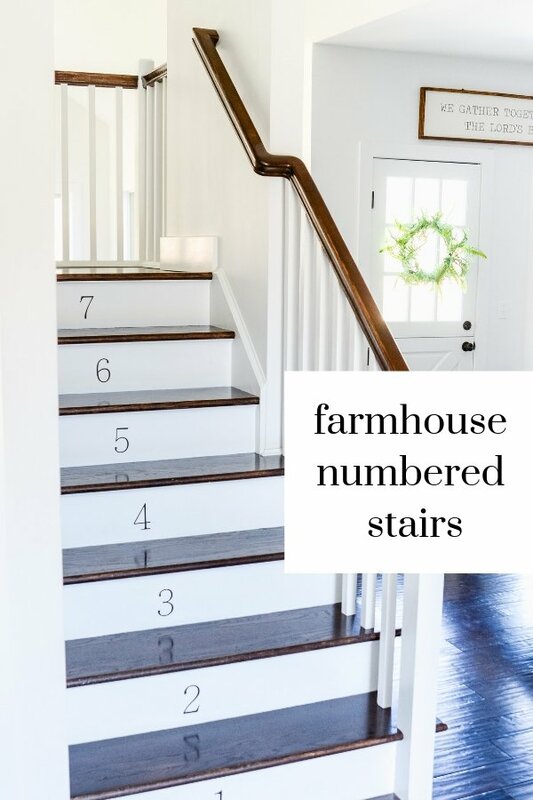 There is one particular font that I love for farmhouse looking numbers, and I knew it would be perfect for my numbered stairs. I went to my trusty Silhouette Cameo, and cut out the numbers in black vinyl. 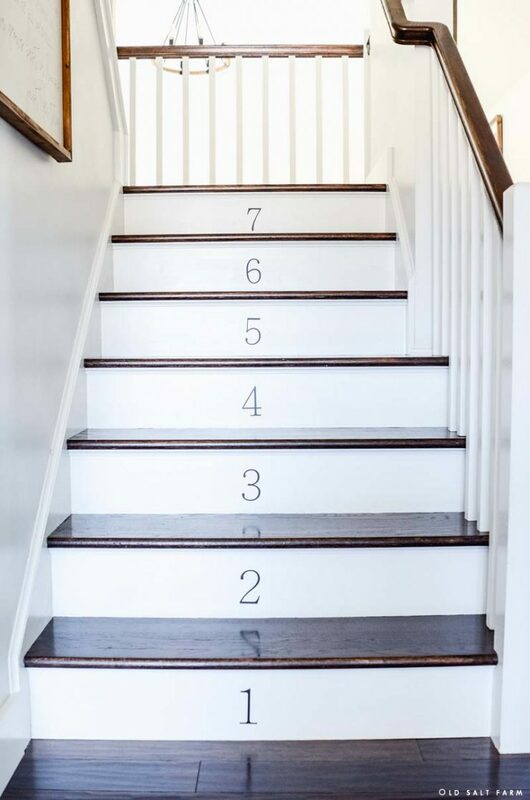 In order to line up the bottom of the number in exactly the same place on each stair, I cut out a block of wood to lay on the step below when applying the vinyl. I also used a measuring stick to mark the middle of each step, so they would be even. After the numbers were cut, it literally took less than 30 minutes to put them on. I ended up liking the vinyl so much that I left them on, instead of painting them on. It’s been nearly 3 years, and they’re still going strong! 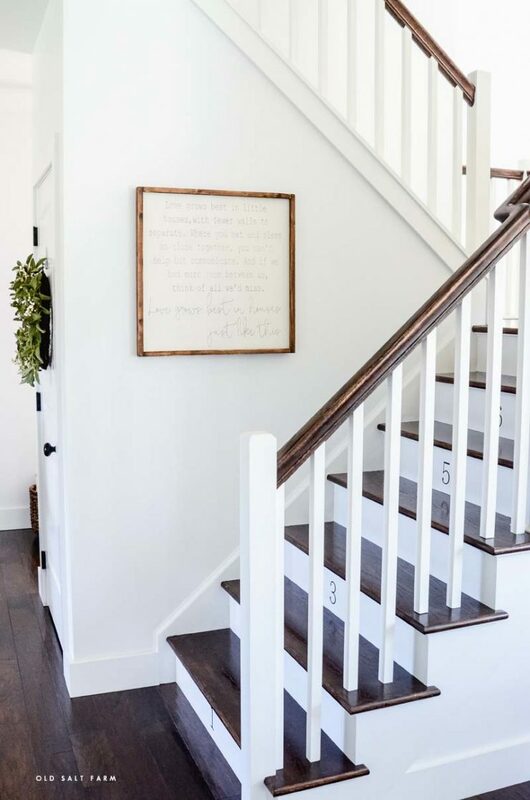 You can see the stairs from our front door, and I get comments about them all the time from people visiting out home. Honestly, it’s one of my favorite things in the house! I’m including the Silhouette cut file, in case you’d like to use it. The font I used is Adobe Ming Std. 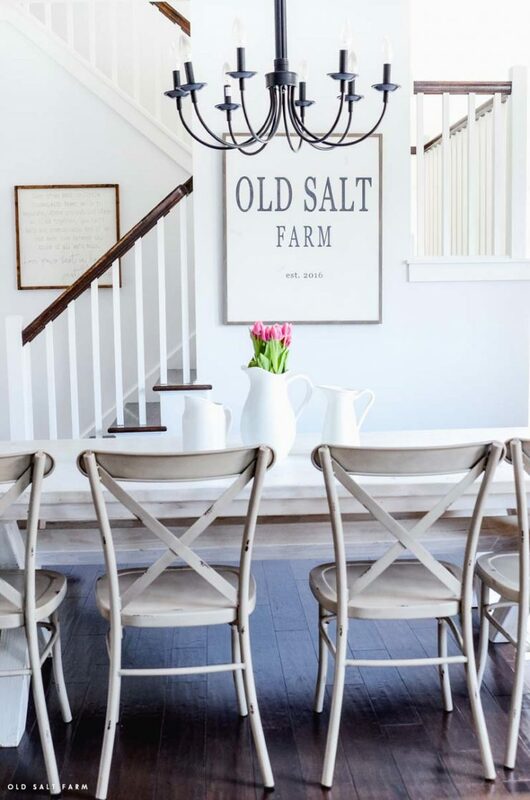 Click here to join my newsletter…get the latest farmhouse style, DIY, recipes, holiday ideas, and more right in your inbox!